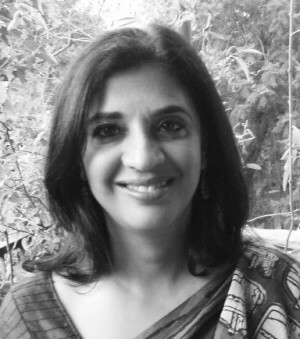 Meeta Sandeep has worked at the intersection of sustainable development, culture, craft, design, art and retail, generate livelihoods for individuals and communities in India. She began her career with Dastkar and travelled working with artisans in folk art, textiles, pottery, leather and wood, establishing marketing exhibitions in cities across India. She organized formal training of artisans and organizations, such as the Self-Employed Women’s Association in Ahmedabad, and engaged in design development of traditional handmade products to make them relevant to the contemporary urban market. She has also focused on reinterpreting traditional craft and art for urban markets, living in rural Rajasthan where she create contemporary block prints on textiles (see www.facebook.com/bindaasunlimited). This green and sustainable business is commercially self sustaining and has created an environment where the artisans are successful financially. She has mentored many artisan-led organisations and individual folk artists in such techniques as Madhubani painting and Sujni embroidery.